We now have a UTUBE channel and it’s free. Google “Jahne Hope-Williams YouTube” and it will get you there. Good morning. We have some changes, but all is well. We are doing the classes at the Uniting Church AFTER lunch and it is working well. The lunches are always fabulous. Great company, great food, and a whole lot of laughing. Meditation sessions by donation are on Tuesdays at 11am and Sundays at 9.15am. All classes outside of this time are at my regular one-on-one class charge of $85. When you have a one-on-one session it will be very much directed towards your needs… this is often not possible at a class/group session. COST $50 per session or $85 for the two paid up front at the first class. The REVELATION TAROT DECK is now in its 10th year on ETSY. I am at present waiting for scanning and then printing of the extension 9 cards. “NATURE’S ORACLES” and four GATES AND GUARDIANS, and the accompanying book. There are also ready-to-frame cards. See them all on the You Tube Channel. The major E-workbook containing explanations of all cards will be loaded to ETSY by the end of this month. All on the Web Site. Go to www.yogabeautiful.com.au for classes. COST: Yoga $20 per Class Or CLASS PASS – $135 per 10 CONSECUTIVE classes (students of the studio for 3 years or more). New students: $165 per 10 class pass (normally $200) After 3 years as a student, the cheaper rate will apply. MEDITATION is by donation at the Tuesday 11am class and Sunday 9.15 class. Everything outside of that is one-on-one and is charged as a personal session $85. It allows us to cover topics and concerns particular to you, tailor the class to you, and usually not able to be discussed at a group class. YOUTUBE CHANNEL: THANK YOU TO ALL THOSE WHO HAVE SUPPORTED our channel. It has become more like a Vlog, rather than just an opportunity to teach. In order to get a direct link, we need 100 subscribers. Please google “Jahne Hope-William YouTube” have a look at the videos and subscribe IT IS FREE. The videos that are there are tarot, hypermobility, Yamas, purushatras. It is worthwhile – and the subject matter is growing… will include more philosophy, more meditation guidelines. DATE of the next STUDIO Teacher Training: Sunday 7th April 2pm to 4pm at my home studio – 37 Morris Road in Woodend. There is no need to book. Bring writing materials, and be early. Please don’t turn up 15 minutes and more into the class time. If you are teacher Training student then the cost of the afternoon is $20. This fee applies to everyone. (Visitors – and/or not yet training – $30). We will be looking at the Cerebra-Spinal Fluid/Hypermobility again(?!).. 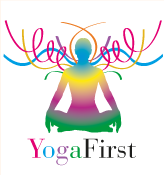 relative to everything else that we do, especially restorative yoga….and assessments. BENDIGO Teacher Training classes – Next class is the 9th April at 3.30pm. Crusoeden Health. Turn at the Metricon building on the highway in Kangaroo Flat just up from Bunnings on the same side. Watch my FREE UTUBE CHANNEL. Hypermobility, Purushatras, and so on. There is lots there.. Google “Jahne Hope-Williams You Tube”. Also on the videos. I am walking the viewers through the cards in my Revelation Tarot Deck. The new book will be loaded by the end of March. I am starting to introduce my next 13 cards. As soon as they are printed they will be on ETSY. Google “Jahne Hope-Williams You Tube” to get there. I need 100 subscribers before we are granted an easy link. DOWSING CLASS: Tuesday 2nd April 7 to 8 pm at The Studio $25. More Restorative (Remedial) classes. Look at the web site for dates and times. You will notice from the CLASSES on the Web Site that we now have meditation by donation on Tuesdays at 11am and Sundays at 9.15. Please come. I will be doing yoga nidra plus healing singing bowls. In Term 2, I will be adding a salt diffuser to the room where we do meditation so that whilst students are concentrating on their breath, the added salt in the air will be helping their respiratory systems. The Yoga Studio will be closed from the 8th April to 22nd April, although meditation classes on Tuesday at 11 and Sunday at 9.15am will be as usual. Any unplanned changes will be on the web, so please check if you plan to come during the School holidays. THE AUSTRALASIAN YOGA INSTITUTE IS MISSION DRIVEN AND MEMBER SUPPORTED. I write books to help you.. Please download them, and then please use them. I have recently put a pocket pendulum and guide on the site, plus a set of Five Tibetan greeting cards. www.myyogabooks.etsy.com. You can also see them and buy them on my art site www.jahnehopewilliams.net. TAROT: Also on the videos. I am walking the viewers through the cards in my Revelation Tarot Deck, and still working on the book.. I am starting to introduce my next 13 cards. As soon as they are printed they will be on ETSY. Google “Jahne Hope-Williams You Tube” to get there. I need 100 subscribers before we are granted an easy link. You will notice from the CLASSES on the Web Site that we now have meditation (by donation for our introduction) on Tuesdays at 11am and Sundays at 9.15. Please come. I will be doing yoga nidra plus healing singing bowls. In Term 2, I will be adding a salt diffuser to the room where we do meditation so that whilst students are concentrating on their breath, the added salt in the air will be helping their respiratory systems. At his therapy centre “Innisfree”, the late Mike Belstead introduced me to the value of Salt Therapy which helps the body remove the accumulated toxins trapped in the body which block you from attaining the longed for spiritual gain, and mental clarity. Salt therapy, also called halotherapy, is a holistic method that reproduces the natural micro-climate of a room by dispersing salt in diffusion. Clients of my yoga studio are welcomed into our meditation sessions where they lean back and relax for 1 hour of salted relaxation.